The Mega Burning City of Hell is a mighty and powerful city with great array. This city is mostly dominated by Presidents, world rulers, Musician, Artist, Football stars, World heroes, Heroine, famous men, genus of high caliber, sorcerers, great witches and wizard, atheist, great ministers of God, pastors, wife pastors, General Overseer, Children and intellectual men that has rules and dominated the world. The mega burning city of Hell comprise the dead. It is the city of the dead, filled with darkness and gaseous sulfur. Moreover somebody died yesterday and is presently in Hell. Another person died early this morning and went to Hell. Hence, just few hours ago somebody just entered Hell. I mean, even a minute ago another soul just entered Hell and while another soul is just giving-up the ghost and about to proceed over to Hell because every day about 153,000 death are been recorded all over the world while about 6400 died every hour and about 107 people dies every minutes that passes on the clock watch. 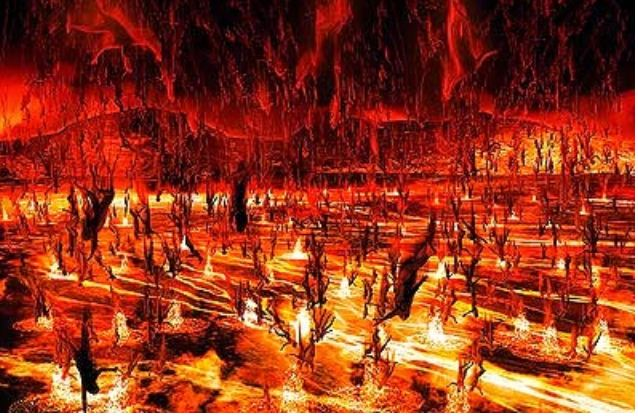 The mega burning city of Hell is very beautiful in array. You're going to behold great men/women of high caliber over there! , In fact, it doesn't require any sacrifice before embarking to mega burning city of Hell--it's a lawless city without no rules. I believe you already knew yourself. I mean just continue in your sinful secrets lifestyles, don’t bother about repentance but rather continue dancing in worldliness of enjoyment. Moreover, it doesn't matter if you have accepted Christ since 19-Abraham and received the Holy Ghost since 19-Moses! Nay, such can't hinder you from dancing in secret sins. Yes, I knew, you no-longer fornicate, adulterate, steal, tells lies, gamble, commit abortion or apply makes-up, artificial hair or whatever! Although you still tagged yourself as a good gallant soldier of the Cross, but what can we attest of that Anger in you, hatred, bitterness, murmuring, gossiping, back-biting and immoral sinful thoughts? ALSO READ; How To Control And Overcome Self Tyrant Of Anger. Just a minute ago a believer in that same condition died, assuming he/she will accelerates to Heaven but unfortunately halted by the angels and suddenly transported to Mega burning city of Hell by a whirlwind. (Pause) Can you behold that Reddish coloring scene in that Picture? That is mega burning city of Hell, always burning horrifically without mercy in beautiful array. The place is very beautiful, don't you think? Yes, it's going to be wonderful and great to feels the intensiveness of mega burning city of Hell. But before that, let us hear the confession of those who are already in Mega Burning City of Hell. ALSO READ; The Eternal Torment Nature Of Hell. 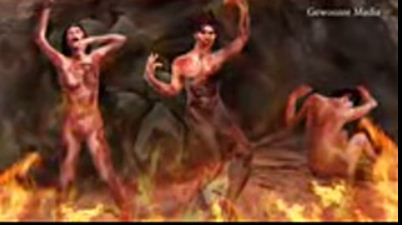 Culled From True life Revelation; 4 Hours Interview In Hell By Allen Bamgbose. “Our miseries in this infernal dungeon are of two kinds: what we have lost, and what we suffer. I will first speak about what we have lost. In this sad dark place of misery and sorrow, we have lost the presence of the ever blessed God. This is what makes this dungeon hell. Though we had lost a thousand worlds, it would not be as important as this one greatest loss. Could we but see the least glimpse of His favor here, we might be happy; but have lost it to our everlasting woe. Here we have also lost the company of saints and angels, and instead have nothing but tormenting devils. Here we have lost heaven, too, the center of blessedness. There is a deep gulf between us and heaven, so that we are shut out from it forever. Those everlasting gates that let the redeemed into heaven are now for ever shut against us. To make our wretchedness far worse, we have lost the hope of ever obtaining a better condition. This makes us truly hopeless. Well may our hearts now break, since we are both without hope and help. This is what we have lost; and if we think of these things, it is enough to tear and gnaw upon our miserable souls forever. Yet, oh, that this were all that our torments were! But we are also tormented by suffering and pain, as I will try to explain to you now. 1. First, we undergo a variety of torments. We are tormented here a thousand, no, ten thousand different ways. Those that suffer upon the earth seldom have more than one affliction at a time. But if they had ulcers, gallstones, headaches, and fever all at the same time, would they not think they were very miserable? Yet all those together are but like the biting of a flea compared to those intolerable, sharp pains that we endure. Here we have all the sufferings of hell. Here is an unquenchable fire which burns us; a lake of burning brimstone that ever chokes us; and eternal chains that bind us. Here there is utter darkness to frighten us, and a worm of conscience that gnaws upon us everlastingly. Any one of these is worse to bear than all the torments that mankind ever felt on earth! 2. But our torments here are not only various, but are also complete. They afflict every part of the body, and torment all the powers of the soul. This makes what we suffer the worst of tortures. In those sicknesses which men have on earth, though some members of their bodies will suffer, yet other parts will have no pain. Here it is different; every member of the soul and body suffers at the same time. “Our eyes are tormented here with the sight of devils who appear in all the horrible shapes and black appearances that sin can give them. Our ears are continually tormented with the loud continual yelling of the damned. Our nostrils are smothered with sulfurous flames; our tongues with burning blisters; and the whole body is rolled in flames of liquid fire. All the powers and faculties of our souls are also tormented here. The imagination suffers with the thoughts of our present pain and the memory of the heaven we have lost. Our minds are tormented as we remember how foolishly we spent our precious time on earth. Our understanding is tormented with the thoughts of our past pleasures, present pains, and future sorrows, which are to last forever. And our consciences are tormented with a continual gnawing worm. 3. Another thing that makes our misery so awful is the sharpness of our torments. The fire that burns us is so violent that all the water in the sea can never quench it. The pains we suffer here are so extreme that it is impossible for anyone to know them except the damned. 4. Another part of our misery is the ceaselessness of our torments. As various, as complete, and as extremely violent as they are, they are also continual. We have no rest from them. If there were any relaxation, it might be some relief. But there is no easing of our torments, and what we suffer now we must suffer forever. 5. The society or company we have here is another part of our misery. Tormenting devils and tormented souls are all our company. Dreadful shrieks, howling, and fearful cursing are our continual conversation because of the fierceness of our pain. 6. The place we are in also increases our sufferings. It is the completion of all misery, a prison, a dungeon, a bottomless pit, a lake of brimstone, a furnace of fire that burns to eternity, the blackness of darkness for ever; and lastly, hell itself. Such a wretched place as this can only increase our wretchedness. 7. The cruelty of our tormentors is another thing that adds to our sufferings. Our tormentors are devils in whom there is no pity. While they are tormented themselves, they still take pleasure in tormenting us. ALSO READ; The Cry Of The Damned Soul In Fiery Burning Flames Of Hell. You have just read an account of the damn souls in mega burning city of Hell. However I can’t compel you to acknowledge all those secrets sins but will rather encourage you to keep it up because very soon, you shall also feels the same anguished pains and sorrow. 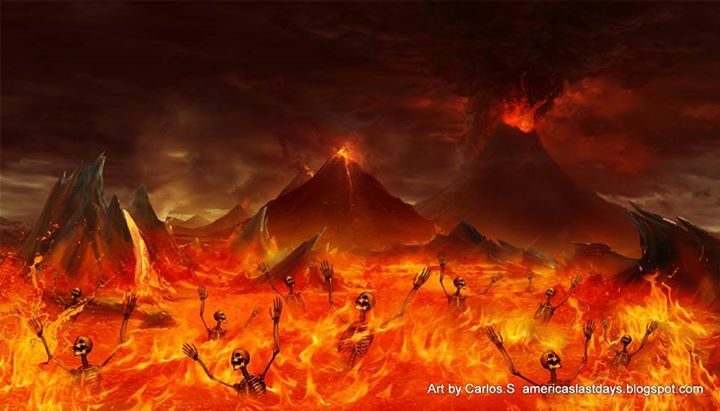 If you died peradventure tonight without confession and repentance of those secrets sins, you shall never escape the mega burning city of Hell—Beware! You have heard millions of salvation messages both in your church and social media. Hence, they all seem meaningless due to familiarity and over spirituality. You don't wear earrings, women trouser, makes-ups, neck lace and elaborates attachments, but still uses rubber and wool to plait your hair----what does it make you? 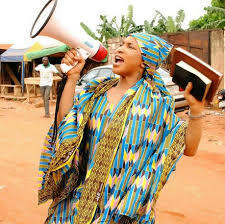 You don't fornicate, steal, lust, kept malice but still gossip and slanders others---what does it make you? You don't drink alcoholic, dress immodesty, fight and quarrels but still harbor hatred and bitterness---what does it make you? You attend Church night vigils, punctual in weekly fellowship, fervent in preaching the gospel, but still tell lies---what does it make you? You are a renowned leader in your church, respected and honored, but still lusting after men and women---what does it make you? You must ensure you don't sojourn your Christian life in pretend, gossip, hate, bitterness, lies, and sexual lustfulness. Likewise, ensure you be-yourself and stop competing with compromisers and sinners. Take your stand as good soldier of Christ and eschew every sinful desire and fear. The mega Burning city of Hell can't be complete without swallowing compromisers in the church, who refuses to embraced repentance while the Grace still abound. If you wish to remain as compromisers or wish to embrace genuine salvation today, I can't compel you in making such choice because life is personal and you're presently operating under free will of life. 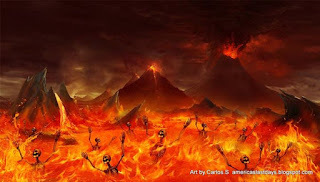 However, if you persist to dwell in your secret sin, have these in mind "If you miss Heaven, you will definitely be among the Christian that will complete the mega burning city of Hell because God is not a respecter of any man. 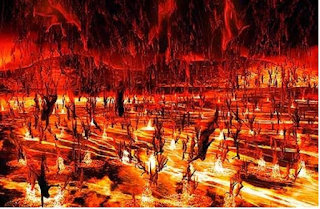 The word “Hell” appears 54 times in the Holy Bible. 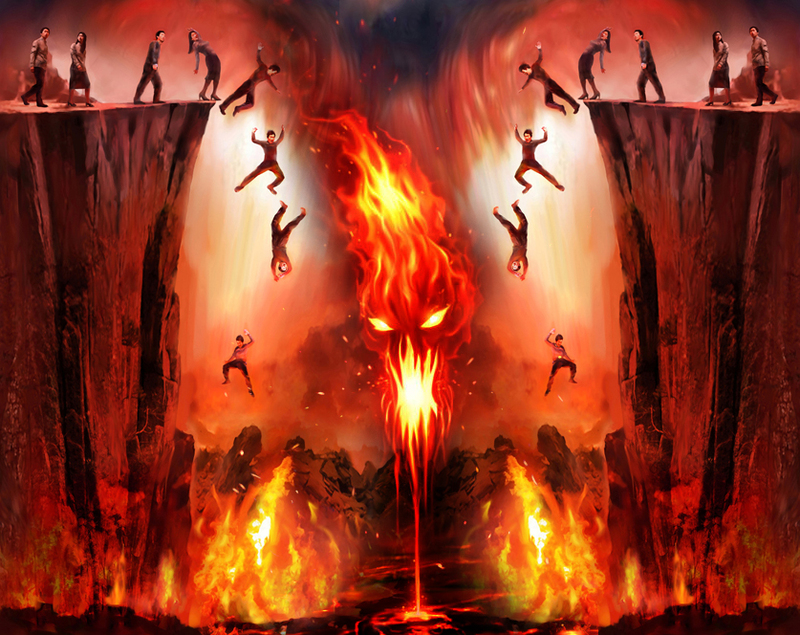 Hell is clearly defined in your Bible as a place of torment and burning. Only a fool who rejects what he reads would say Hell is the grave or only separation from God. Hell is a state of lose and woe. It's the destination of a gloomy mind. ALSO READ; A Letter From Hell To A Friend. Be it a man or a woman; no one can escape from such kingdom; once you enter you are DOOM FOREVER. 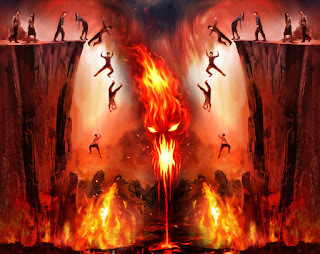 Hell is a place of tears and confusion, hunger, thirst and burning heat which are bring upon untold suffering. It's a place where human beings are packed together. Hell is filled with vomits and misshapen bodies. It's a place where human souls experienced regeneration or rebirth millions times each day. The pain is horrific and the suffering is endless. 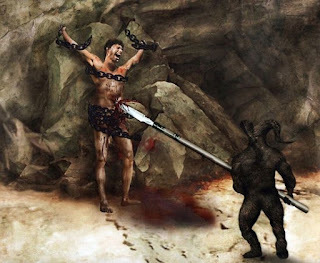 In Hell there is no pity; no light; no food; no water; no God's mercy or his compassion. In Hell there is no second chance. In Hell you are lonely and deserted. Your family shall write you off on earth while you kept experiencing an excruciating horrific pain for Eternity and if you refused to drops all this sinfulness in your life; you will surely head over there very soon, Beware! 0 Response to "The Mega Burning City Of Hell Fire"